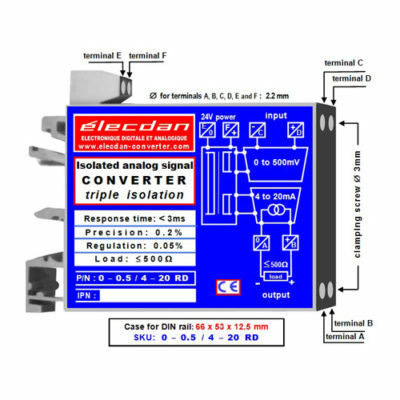 Analog converter, fast and precise, of gain 10000, for very low level signals. 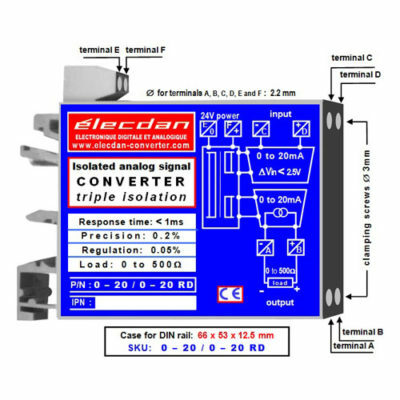 Ideal, in “DC current transducer” mounting, for easy measurement, with very low losses, of currents up to 250A. 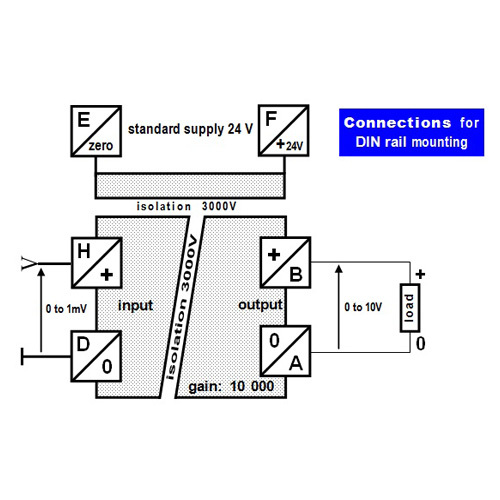 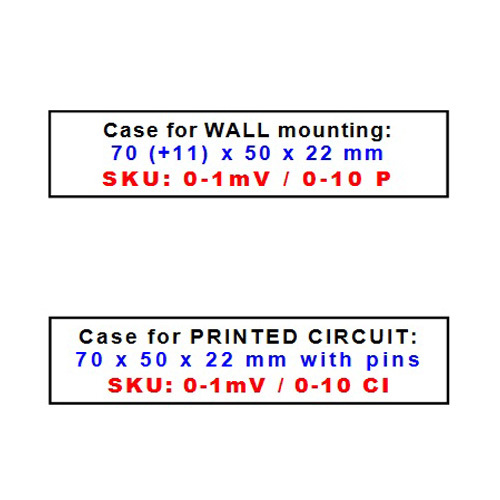 When mounted as DC current transducer, inputs can be connected (with screw or clamp) directly on the lead portion that drops up to 1mV when supplied with current up to 250A. 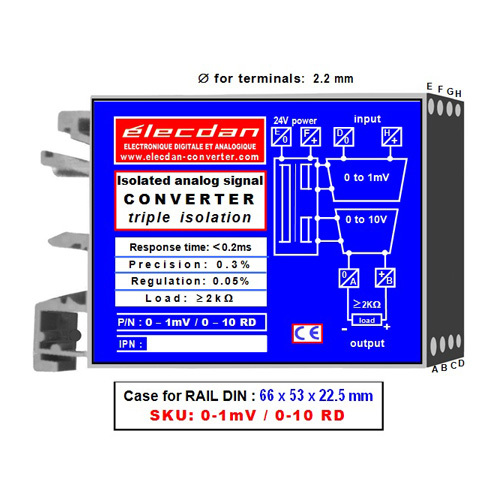 This high performance mini-module transmits, at scale 10,000 and within 200 microseconds, “0 to 1mV” applied on its input. 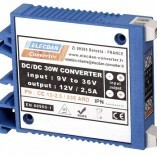 This analog converter was initially intended for the monitoring, on very low resistance shunts (of a few µΩ), of DC currents with rapid fluctuations.